The shortest best review I can give is to say you'll want to be at the SVA theater Saturday afternoon when this film plays so that you can see the subject of this film in person. Ms Boggs is doing more as she approaches 100 than most people could ever hope to do in several life times. 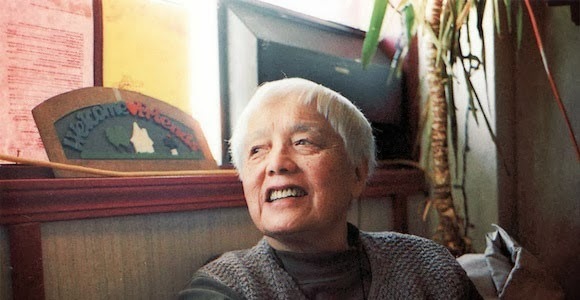 Filmmaker Grace Lee (no relation) filmed her friend Boggs over the course of over a decade in what Lee describes as a never ending conversation. It's a conversation that took in all of Boggs's life from daughter of well to do parents, philosophy student, Marxist, Communist, Civil Rights activist and social change advocate. She continues to push for change keeping a schedule that would kill some one a quarter of her age. Call it portrait of an amazing and probably not too well known life. She was in the thick of any number of struggles for the betterment of the poor and minorities in a way most people can't imagine. As one person says she did more to the struggle for Black people to get equality than most Black people. It's one of those lives where you watch it recounted and wonder where she had time to breath. I am in awe of the woman and wish I was going to be able to attended the screening Saturday so I could at least have a chance to meet her and shake her hand. While I'm in awe of the woman, I'm in like with the film. While I like the film a great deal, it isn't great. I'm torn in that I'm in this position where I want a great subject to have a great film not just a good one. This is a very good film about a truly great human being. Allowing for that you really do need to get to the SVA theater when the film runs Saturday afternoon.